It is 9 months since I last updated this blog and nothing has changed beyond the fact that I have gotten older. Yesterday was my 70th birthday and I’m feeling every minute of those 70 years. Some tenants have died but apart from that little has changed here in Cambridge Court. I was offered a new flat by Dublin City Council but when I went to check it out I found that like Cambridge Court it had a snooker hall ! That is all I needed to know about the place , I didn’t even wait to actually see the flat itself , the snooker hall told me all I needed to know. 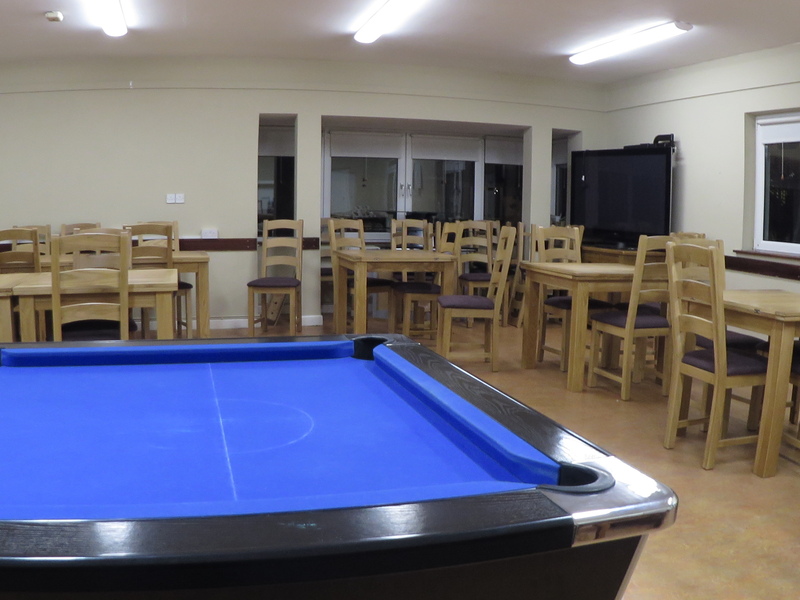 The fact that the council feel that a snooker hall is appropriate in a sheltered housing complex speaks volumes -. You can be quite shure that not one single council official has or would ever tolerate a snooker hall outside their front door. These people really do have a contempt for the people they are supposed to care for. In the meantime life goes on here as it has for decades now. The misery continues. The only escape from this relentless misery is death. I still have a notice in my window which says , ” I don’t want to grow old with bullies” but no one takes any notice although literally thousands have seen it. Not one single person has ever asked if there is a problem….and plenty of people are aware of this blog including Dublin City Council and the local Gardai. The nightmare of living in Cambridge Court continues. Last night I had to get out of bed at 3:30 am because of the noise. I tried sleeping in the community room but I was just too stressed to sleep ……tonight the pub across the road will pump out its noise untill just after 1:00 am and after that there will be at least an hour of shouting and swearing while the low-life makes its way home. Nothing has changed here. Just more of the same….If you want to know what’s been going on just read my previous posts……I am destined to live like this untill I die. I think of death quite a lot…..but without this I would go mad – it’s a coping mechanism….And in Cambridge Court its all about coping from one miserable day to the next. It is a long time since I posted on this blog. Nothing has changed. The misery continues. One miserable day follows another and there will be no respite untill I’m dead. 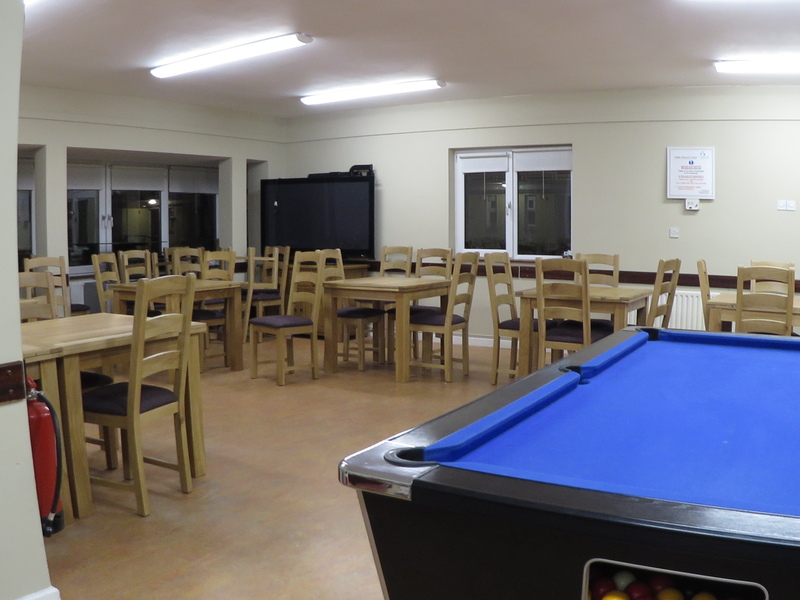 Tonight is bingo night and the common room will be packed with people who do not live here – more of the same. I worked it out the other night that the common room has been used appx 1000 times at night by people who don’t live in Cambridge Court. They have had tea and biscuits and a nice time but not once have I seen tenants use the place day or night. I still have a notice in my window which says . ” I do not want to grow old with bullies” and not one single person has asked if there is a problem. Not one council official , not one social worker ………. This might seem like an innocent photograph but nothing is as it seems or should be in Cambridge Court. It’s bingo night and the tea has been set out……but not of course for the tenants. Most of them die without ever having tea in the common room. Tea is reserved for the bullies and their bully friends. It is nothing less than obscene. This is supposed to be sheltered housing……..
Summer has arrive in Cambridge Court but that is not a good thing. Tonight the bingo crowd will be in and as the weather is nice they will sit out in the garden area swearing and shouting in between their games of bingo. Sunny weather simply means that more and more people will be hanging around the place…..the pub crowd across the road will hang around later into the night…..Last night I was bombarded with noise from the flat above me and the one next door. It was horrific and there will probably be more noise tonight. But none of this will bother the bingo crowd. They will leave their homes and come down to Cambridge Court to have a good time while tenants as usual will be stuck in their one room flats. I wish I had somewhere else to go….somewhere I could just relax. I would literally swap my ‘home’ for a shed. A shed , a quiet shed where I could relax and not feel tense all the time would be heaven for me. I will be 70 in August. I’m not able to cope with this anymore. Yes , tonight the cups and saucers will be laid out for the bingo bullies and a good night will be had by one and all. 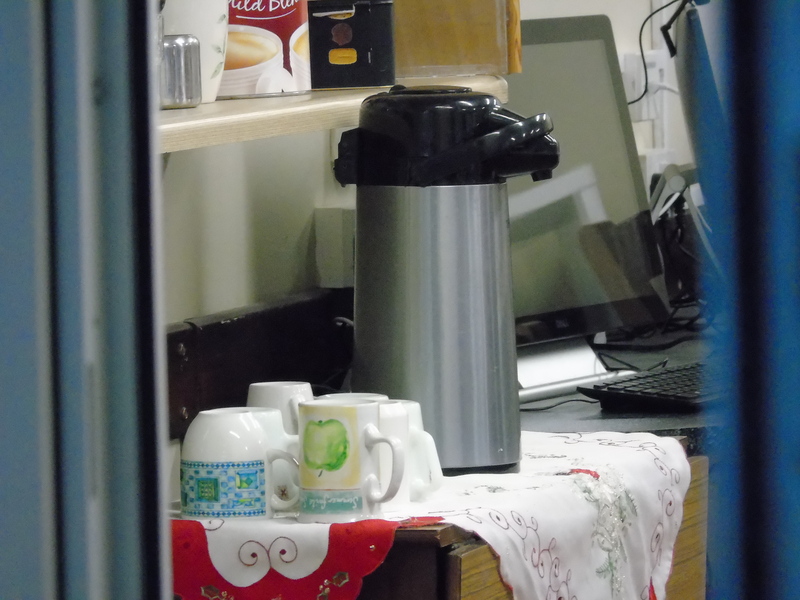 Another tenants died last week- I never saw her have a cup of tea in the common room. Now she’s gone and forgotten….That’s the story of life in Cambridge Court. There are some tenants here who will tell you that no one is bullying THEM…….but you won’t see them having a morning coffee while they read their paper in the common room – they know their place regardless of what they might say…. I have , of late , being finding it quite difficult to write my blog. I’m constantly on edge , tense – I cannot relax and don’t feel well. I’m tired , but not in a healthy way…….I keep thinking that in a few months I will be 70 years of age and I feel every minute of it. They say that people live longer today but that really applies to middle class people who have comfortable or moderately comfortable lives. I often wonder just how I lasted this long but looking at it objectively it is reasonable to think that I may not be around for much longer. No one knows exactly when they are going to die but once you get to my age you begin to realise that you are running out of time and the pressure I’ve been under these last few years would be enough to kill a horse. And there is no way out…..there is no way out of this nightmare. By the way , I don’t mean to sound like a misery guts but if I kept all this to myself I would have gone mad or killed myself a long time ago. One strange thing that I don’t understand – I seem to be the only person on the internet who has a blog chronicling bullying of any sort. I have looked wide and hard and I cannot find one , not one blog by anyone anywhere who is being bullied. I seem to be the only person in Ireland , UK or indeed the whole of the english speaking blogosphere who is telling their story of what life with bullies is really like. Perhaps they are all to intimidated …… but it is strange …..Nothing new has happened in the last few weeks and months -just more of the misery that went before. 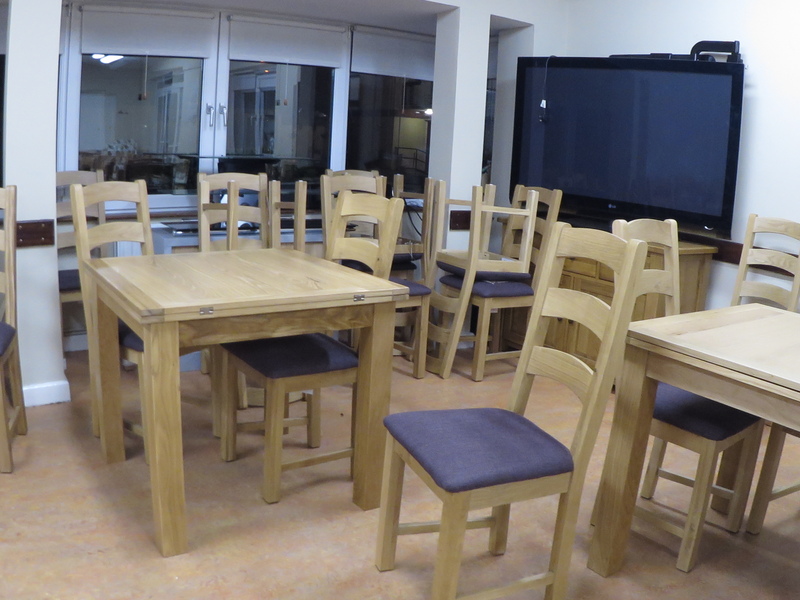 This new seating and tables have just been installed in the common room in Cambridge Court. They are not for the use of tenants or inmates as I like to think of them but rather for the hundreds of people who use Cambridge Court as their own private community center while tenants/inmates are confined to their one room flats. 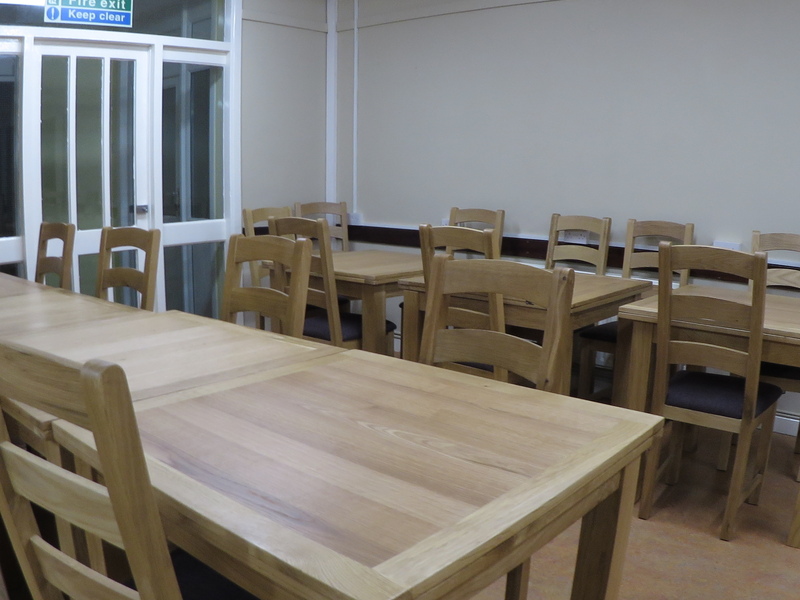 They can sit at these tables and have a cup of tea , served from the kitchen which is also forbidden territory to tenants/ inmates. A tenant died in Cambridge Court a few days ago and I can assure you that he never sat in this common room having a nice quiet cup of tea….I have seen a lot of people die in this place but I’ve never seen one enjoying a cup of tea in this ‘common’ room……………..Cambridge Court is a living monument to death and isolation. If you wish to see the full Prime Time RTE programmes just click on the link. I think about death every day. This is , under the circumstance , quite normal. Death is the only thing that will rescue me from this living nightmare. I have done everything possible – I have notified Dublin City Council , I have written hundreds of words in various blogs about the bullying , I have told everyone who will listen and have even put a poster up in my window with the legend , ” I do not want to grow old with bullies” and in spite of all this and more not one person has ever knocked on my door to see if I am alright. Short of taking an ad out in the local press I cannot think of what else I can possible do. So why do I even bother ? Well , there is one good reason why I bother – One very good reason. No one is ever going to be able to say that they didn’t know what was going on. This is , after all what they always say…..This is the classic ‘get out of jail’ card that is used with great success by those in positions of responsibility when the proverbial you know what hits the fan. Every day of the week I see people stop to read the poster I have in my window. I see mothers taking their children to school stop and read , I see social and healthcare workers park their cars outside my window and do a double take when they see the poster -I have literally seen hundreds of people read that poster and yet not one has ever asked me if there was a problem. There is a conspiracy of silence at work here. A lot of people don’t like the stance I’m taking but they don’t complain because to do so would be a recognition of sorts , however negative , of my situation. It is not that people don’t believe me ……..that’s one thing that victims often get wrong -they often feel that no one believes them but of course the real problem is that they DO believe them. This system works well…..it is the default option. It always works. It always has worked. It always will work. I often find myself wondering if I am mad or if I am just imagining all the bullying and intimidation that passes for normal life in Cambridge Court. It is quite natural to doubt yourself when every day is a living nightmare and everyone else seems to be getting along fine. It is very very common this self-doubt. But every so often something happens and suddenly , in a flash , you realise that no you’re not mad……. A few months ago I happened to be standing in the garden area in Cambridge Court just getting some fresh air and one of the tenants approached me. He asked me if I thought Dublin City Council would let him bring in a garden shed to put around the back behind the common room…..there are some already there but these belong to the bullies. I told him that I figured the bullies would complain to the council and of course the council would do what they always do- ie back up the bullies. But then I said that if he needed somewhere for his tools or gardening stuff he should ask anyway. And then…….then he said something that made me almost want to cry with joy. He told me he didn’t want it for tools or gardening equipment – he wanted a shed because then he would have somewhere to sit in in the day time and somewhere sleep in at night. He had indicated to me prior to this that he didn’t like his flat ….that , like me , he had grown to hate the environment he was living in. But when two tenants , quite independent of each other, arrive at the conclusion that they would be better off living in a shed then there is something very wrong.